New Zealand's national amateur radio society - New Zealand Association of Radio Transmitters, or NZART - reports that all earthquake-related emergency communications activities there are being conducted on two meters, so there is no risk of hams in other parts of the world causing unintentional interference on the HF bands. In fact, NZART advises that a previously-scheduled Field Day activity on HF this weekend will go on as planned. Radio New Zealand is reporting that a small team of amateur radio operators is using two communication vans to help rescue teams and civil defense officials stay in touch, and that other hams are sending information to overseas family members of Christchurch residents. The city was struck by a major earthquake earlier this week. According to the report, Richard Smart, who heads the Amateur Radio Emergency Communications team, says 10 hams are working with rescue officials, with one van set up at a major welfare center to keep it in touch with Civil Defence officials and the other en route to help search-and-rescue teams in an area with poor communications. Smart also told Radio New Zealand that amateurs from around the country are volunteering to help out and others are sending updates on the disaster to families of people in Christchurch who are overseas. While no frequencies were included in the report, it is important that hams in other parts of the world listen carefully before transmitting to make sure they are not potentially interfering with either emergency or health-and-welfare traffic. There are propagation paths between ZL and North America, especially on 20 and 40 meters (see earlier postings). The ARRL is reporting that three of the four American sailors killed by Somali Pirates in the Indian Ocean were hams. It identifies the three as Scott Adam, K9ESO; his wife Jean, KF6RVB; and Bob Riggle, KE7IIV. The fourth person on board the S/V Quest was identified as Phylis Macay, who was not a ham. The Adams were from the Los Angeles area while Riggle and Macay lived in Seattle. According to the US Central Command, the boat was in the Indian Ocean, headed toward the Somali coast when on Friday, the 58 foot yacht sent a distress signal. The boat was being trailed by US Navy forces; it was about a two day sail from the Somali coast. They had begun tracking the yacht after being alerted that a Danish naval helicopter had seen the Quest off Oman under the pirates’ control. The Central Command oversees US anti-piracy operations in the Indian Ocean. NOTE: The following updates information in both March and April issues of CQ. The launch of ARISSat-1, currently on board the International Space Station (ISS), has been delayed until July. The satellite was initially scheduled to be hand-launched by the ISS crew during a spacewalk in mid-February. However, a change in the work schedule for the February spacewalk pushed back the ARISSat launch and the ham community was initially told it would be launched in April, to coincide with the 50th anniversary of the first manned space flight, by Yuri Gagarin. The latest information, however, indicates that the next spacewalk by ISS crew now will not take place until July at the earliest. For more information on ARISSat-1, see the "VHF-Plus" column in the April issue of CQ and the ARISSat-1 website at <www.arissat-1.org>. 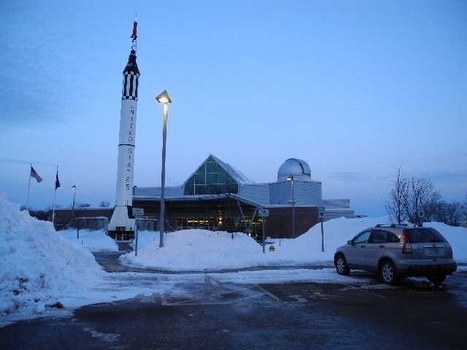 A fully-functional ham radio station has been installed as part of the hands-on exhibits at the McAuliffe-Shepard Discovery Center in Concord, New Hampshire. 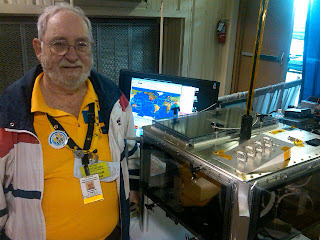 The station, KA1SKY, was a gift from NEAR-Fest (the New England Amateur Radio Festival) and will be operated by volunteers from the Contoocook Valley Radio Club. It is set up for both voice and Morse code operation on all bands from 160 meters into the microwaves, and is capable of making contacts via amateur satellites and potentially, with the International Space Station. The station was dedicated on February 14. The McAuliffe-Shepard Discovery Center is named in memory of teacher-in-space Christa McAuliffe, who was killed in the explosion of the shuttle Challenger, and of America's first space traveler, Alan Shepard. Both were New Hampshire natives. Creating a nationwide interoperable broadband network for emergency responders has emerged as a high priority item for both the FCC and the new session of Congress, and one bill introduced by a powerful House committee chairman could endanger the 70-centimeter amateur band. Virtually all plans involve dedicating certain frequencies in the 700-MHz band to creating the network. These frequencies were freed up by the migration of television broadcasting from analog to digital transmissions, and were initially scheduled to be auctioned off for commercial broadband use. - Supporting the FCC Commissioners' Technical Resource Enhancement Act. The board also set up an ad-hoc committee to monitor development of the National Broadband Plan and assess possible threats to amateur frequencies. A California appeals court has invalidated a municipal antenna ordinance as unenforceable because it was too vague, but told Palmdale amateur Alec Zubarau, WB6X, that he would not be able to keep up his HF antenna. According to the ARRL Letter, the court said that permitting Zubarau to keep his VHF/UHF vertical antenna constituted "reasonable accommodation" because it allowed him to be active in some part of amateur radio. The FCC has added Montenegro to the list of European countries in which U.S.-licensed hams may operate under the CEPT (European Council of Postal and Telecommunications Administrations) reciprocal operating agreement. The ARRL reports that the change took effect on February 7th. Under CEPT rules, full amateur privileges are granted only to US hams holding Advanced or Extra Class licenses. General Class hams receive limited CEPT Novice privileges, while US Technicians and Novices have no privileges in CEPT countries. A Vertex VXR-7000 repeater, initially brought to Haiti as part of ARRL relief efforts after last year's earthquake there, has been permanently donated to the Radio Club d'Haiti through the efforts of the ARRL's Ham Aid program and the Radio Club Dominicano. The Dominican Republic shares the island of Hispanola with Haiti. The ARRL Letter reports that the repeater will be linked to other repeaters on the island as part of a plan to build a new nationwide amateur radio network. The head of civil defense relief efforts in the aftermath of landslides and flooding in Brazil has praised local ham radio operators for their help. Newsline reports that Lt. Col. Roberto Robadey told the BBC his command would not have been able to do anything in the first two days of the emergency if it were not for the hams. He said they set up their radio gear at key points to provide communications between relief groups. The landslides in late January were touched off by the heaviest rains the area has experienced in more than four decades. Jeff Beiermann, WB0M, is a news photographer for the Omaha World Herald newspaper and the ARRL Public Information Coordinator for Nebraska. According to the ARRL and KETV News, Beiermann was heading home from work in early February when his car was hit by a stolen SUV that ran a red light and then kept on going. The driver and a passenger were later apprehended. Beiermann was rushed to the hospital in critical condition but is expected to recover. The ARRL says get-well cards may be sent to Beiermann's home address but asks that no one send anything that would require a response or acknowledgement. Introduction of the Broadband for First Responders Act (H.R. 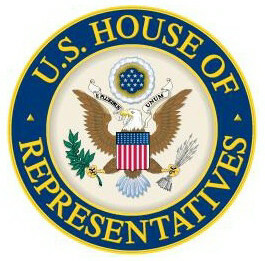 607) in the U.S. House of Representatives on February 10 is sending a shudder through the amateur radio community. An element of the legislation threatens to put up for auction 420 to 440 MHz and 450-470 MHz - a potential loss of spectrum for radio amateurs. Click here to see H.R. 607. "There are several bills in Congress providing for the allocation of the D-Block for Public Safety use," an ARRL online story noted. "But H.R. 607 uniquely provides for the reallocation of other spectrum for auction to commercial users, in order to offset the loss of revenue that would occur as the result of the allocation of the D-Block to Public Safety instead of commercial auction. "H.R. 607 lists the paired bands of 420-440 MHz and 450-470 MHz among the bands to be reallocated for commercial auction within 10 years of its passage." Co-sponsors of H.R. 607 include Homeland Security Committee’s Ranking Member, Rep. Bennie Thompson (D-MS-2) and Representatives Shelley Berkley (D-NV-1), Yvette Clarke (D-NY-11), Billy Long (R-MO-7), Candice S. Miller (R-MI-10), Laura Richardson (D-CA-37), Mike Rogers (R-AL-3), and Michael Grimm (R-NY-13). Arnie Coro, CO2KK, International Amateur Radio Union (IARU) Region II Area C Emergency Coordinator, advises users of the 40 and 20 meters bands to "be aware of possible (earthquake) emergency communications traffic taking place in and around the affected areas of New Zealand's South Island, where Christchurch is located." CO2KK continues: "This is a city of about 400,000 population and it was hit pretty badly because of the proximity of the epicenter of the earthquake and the fact that it was registered at a very shallow depth and very near to the city. "The propagation on 40 meters more likely to cause problems to the New Zealanders from unintentional QRM coming from the Americas is the window that starts about two orthree hours before sunrise and lasts until sunrise at this end. A similar pattern, with a slight time shift shows up on 20 meters, too."